Liberal Judaism has joined a prestigious AHRC (Arts and Humanities Research Council) funded project about LGBTQI Jewish rituals in the UK, following on from the Rainbow Jews project. Ritual Reconstructed – a collaborative project working with London-based Jewish Lesbian, Gay, Bi-sexual, Transgender, Queer and Intersex (LGBTQI) communities, will explore faith rituals, combining both Jewish and LGBTQI identities. It will be working with film, performance, installation and storytelling, to look at the ways in which Jewish people who identify as LGBTQI, engage in religious and community life, and how the two elements influence each other. The project is being organised with a number of groups who specialise in Jewish, LGBT and Jewish-LGBT identities, including Liberal Judaism. It will be centred around two core elements, firstly, with a series of short films, to increase knowledge and share information about LGBTQI Jewish ritual life, and secondly with the undertaking of curation of individual, personally meaningful ritual objects which combines LGBTQI and Jewish identity. Participants will also have the opportunity to work with a narrative story-teller to explore these items, which will being uploaded onto a web-portal at a later stage to allow viewers to interact. Surat Shaan Knan at Liberal Judaism and Rainbow Jews is a key organiser, as the community manager. Surat told Jewish News: ‘The Rainbow Jews history project has helped us to understand and celebrate the invaluable contribution that LGBTQI Jews have made to British society. Also collaborating in the project is Margaret Greenfields at the Institute for Diversity Research, Inclusivity, Communities and Society (IDRICS) at Buckinghamshire New University, EJ Milne at the Centre for Trust, Peace and Social Relations at Coventry University, and Searle Kochberg a filmmaker and academic at the Faculty of Creative and Cultural Industries at the University of Portsmouth. 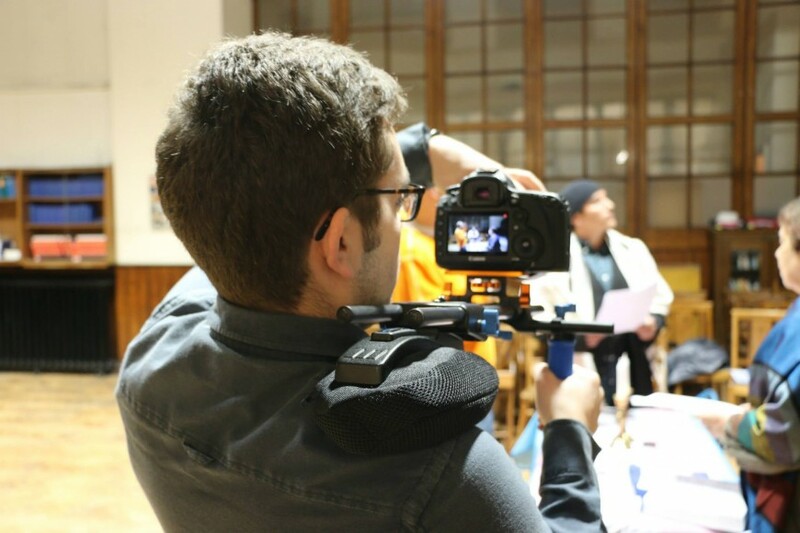 The project is open to anyone who is over 18, lives, or is available to be filmed, in or near to London or Portsmouth and identifies as Jewish and LGBTQI. ‘Allies’ who are engaged in the UK’s LGBTQI and/or Jewish community can also participate. If you would like to find out more or get involved contact please contact us here. The project is running from October 2014 to September 2015. This article was first published on The Jewish News website, to see this article and more, click here.